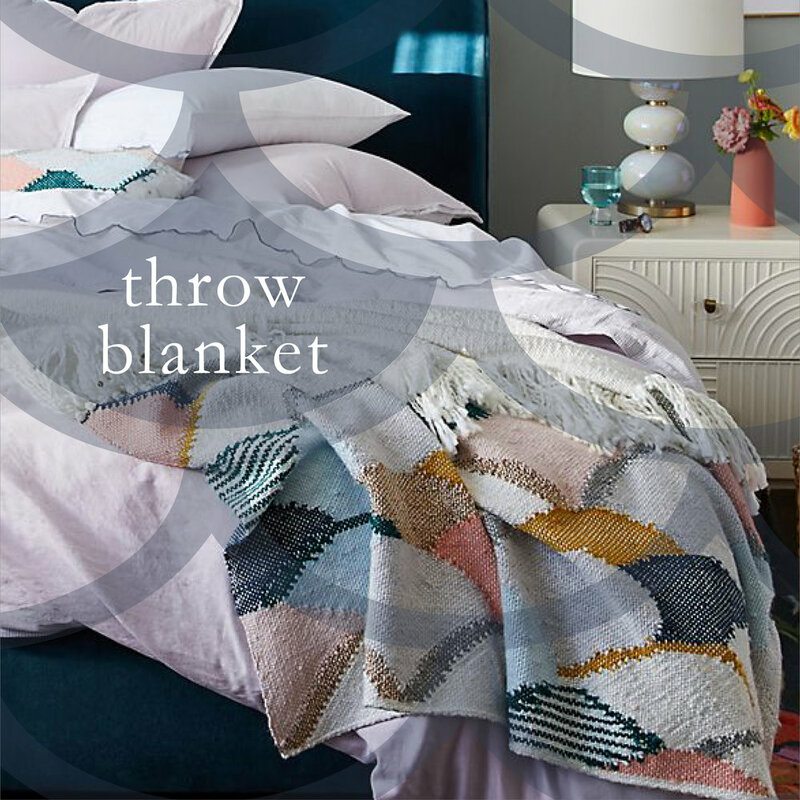 My second collection for Anthropologie is now available in stores! Last fall I designed a line of scarves for the company, based on my original tapestries. They were amazing! This year I am excited to share a complete home collection, also inspired by my original tapestry! This collection was inspired by one of my favorite tapestries I created for a client in London. The client wanted something light and airy to brighten up her walls in the dreary Winter. The client loved it so much that its design inspired the three piece collection made up of an accent pillow filled with weaving embellishments, a large throw blanket embellished with soft fringe, and a lamp shade incorporating beautiful embroidery details and fringe accents, which comes in three different sizes. All three pieces are handcrafted beautifully and are filled with such great detail and incorporate different techniques; including embroidery, knitting and weaving. They would look great together in a room as a collection or make a bold statement individually and are great design pieces that can add warmth, color and texture to your space. I have found that incorporating light and bright elements into a space can really liven up the room and I feel like these three pieces do so beautifully. It is so rewarding to create a design and see it inspire new creations with this collection. What I love about these pieces is that they truly encompass the light and bright feeling I was trying to invoke with the tapestry. If you have been inspired by the unique scalloped shapes incorporated into this collection and want to know how to create them yourselves or learn other techniques, you can purchase one of my online weaving video classes at hellohydrangea.com/weaving-classes. As a special offer, I am offering 10% off classes! So come on, people let's add some texture, incorporate some color and create something special! Make sure you tag your finished pieces with #welcometoweaving.